Posted April 28, 2017 at 7:18 pm by M&M Mechanical, Inc. & filed under Air Conditioning . Just like your car, your air conditioning system has a lot of moving parts and needs regular maintenance. You wouldn’t skip an oil change, and you should have your air conditioner serviced each spring. As the weather turns warmer and the days get longer, it’s a good time to have your HVAC system maintenanced. Here are three ways maintenance can save you money. When your system is clogged with dirt and debris, your air conditioner has to work harder to keep your home cool. The harder it works means the longer it takes to reach the temperature you want, and this runs up your utility bills. Regular maintenance removes these pollutants from your system allowing your air conditioner to run for shorter periods with the same results. As part of your air conditioning service, the technician inspects your entire unit and looks for any issues that need repair. Taking care of a small repair now can help you avoid a major repair a little further down the road; some parts just need replacement after being in use for a while. As one of the most expensive systems in your home, you expect your air conditioner to last more than a decade. However, many factors go into how many years you actually get out of the unit. Having a professional service your air conditioner unit each year keeps the unit clean, well maintained and small repairs fixed, which can add to the years your unit has. Having a professional from M&M Mechanical visit your home each spring not only helps you avoid emergency calls during the hottest months, but can save you money. These savings are both immediate and long term for your wallet. Posted March 27, 2017 at 10:36 pm by M&M Mechanical, Inc. & filed under Air Conditioning, energy bills . Over time, dust and dirt can build up in your air conditioner, lowering its performance and its efficiency and making it more expensive to cool your home. An air-conditioning tune-up can help you determine what’s going on, make sure your system has no problems, and ensure its operating at maximum efficiency. It’s never been inspected. If you can’t remember the last time your air conditioner was inspected, then a tune-up can likely help. Dirt dust and even mold can build up in your air conditioner and in your ducts, making your air conditioner run less efficiently. Every year you run your AC without cleaning or maintenance, it gets a little less efficient. If you’ve never had it checked or can’t remember the last time you had your system checked, it’s likely time for a tune-up. Your energy bills are too high. If your air conditioner has to work too hard to cool your home, then your energy bills are going to go up. If your bills are suddenly soaring, are much higher than usual or your air conditioner seems to be running all the time, it might be time for a tune-up. Regular maintenance can help your air conditioner run as efficiently as possible, lowering your energy costs. The air smells bad. If the air in your home smells musty, moldy or has a sour odor, your air conditioner could be to blame. Moisture can build up in your system and be blown throughout your home along with the cool air. The resulting odor is more than annoying; the mold causing the odor could actually damage your health and is particularly dangerous for anyone with asthma or allergies. Your home is not cool. If your air conditioner is constantly running but your home is never cool, a tune-up can help. You’re paying to run the air conditioner, even though it’s not cooling your home; by getting a tune-up you can be sure that you’re paying for something you’re actually enjoying. If you can’t remember the last time your air conditioner was inspected or are having problems with its operation, performance or costs, we can help. Contact M&M Mechanical for help with your conditioner and to ensure your home is as comfortable as possible. Posted March 9, 2017 at 11:44 pm by M&M Mechanical, Inc. & filed under furnace, Heating . Many property owners often forget to budget regular maintenance for the heating units in their homes and buildings. This often leads to expensive furnace repairs that could have been prevented. Here are three indications that you may need to service your furnace soon. When your furnace turns on and off frequently it may not be getting enough fuel or have improper airflow. A skilled technician can test your intake and check for clogged nozzles. Trained specialists often have these parts on hand and can replace them when they do an annual cleaning to prevent additional visits and extra charges later. Malfunctioning thermostats can cause the furnace to run even when you do not need it. This increases your energy bills and can add to the wear and tear on the motor and fan. Routine care can help identify the age and condition of these parts and give you time to plan for their replacement saving you time, money, and stress. It is very important to have the right airflow for your furnace to work efficiently. Filters that are full of dirt, dust, and debris prevent the air from entering the unit making it work harder to meet your needs. When this happens, it often damages the limit switch that controls the fan. While these seem like small maintenance steps that you can do yourself, a trained technician, such as a technician with M&M Mechanical, has the equipment necessary to identify issues that may go unnoticed during the course of the year. Their recommendations can be the difference between a few minor repairs now and a new furnace in the middle of winter. Posted February 24, 2017 at 9:42 pm by M&M Mechanical, Inc. & filed under furnace, M&M Mechanical . While these seem like small maintenance steps that you can do yourself, a trained technician has the equipment necessary to identify issues that may go unnoticed during the course of the year. Their recommendations can be the difference between a few minor repairs now and a new furnace in the middle of winter. Questions? Contact M&M Mechanical! We’re furnace repair specialists in Lorton, VA.
Posted February 12, 2017 at 6:02 pm by M&M Mechanical, Inc. & filed under furnace, Heating . Heating and air system malfunctions can wreak havoc on a family’s monthly budget. When a heating or cooling appliance goes out or malfunctions, this is just not something you plan on. Fortunately, there are affordable options when you need to replace your heating unit without causing you to take out a second mortgage to pay for it! In recent years heat and cooling system have become much more technologically advanced and more focused on using less energy. Perhaps you are thinking that you would like to replace your heat and air unit with something more energy-efficient. Depending upon the type of home you have, a service technician will be able to offer energy-efficient heating and cooling suggestions based upon the type of home you have and the square footage to be heated and cooled. Affordable energy-efficient options, such as a new heat pump, could drastically decrease your energy bill. Heating installation of a new furnace will be worth it by the drastic savings you will see on your heating bill. Regardless of the type of heating and air system you have installed, be sure to ask any questions you may have about how to operate the system. Also, make sure it is functioning properly before the technician leaves. The money you spend on a new and more efficient heat and air system will result in tremendous savings on your heating and cooling bills. If you’ve become frustrated with a furnace that isn’t working, it’s time to contact M&M Mechanical, we’re professional heating experts. 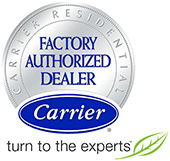 We will help you find the best furnace options for your home and budget.